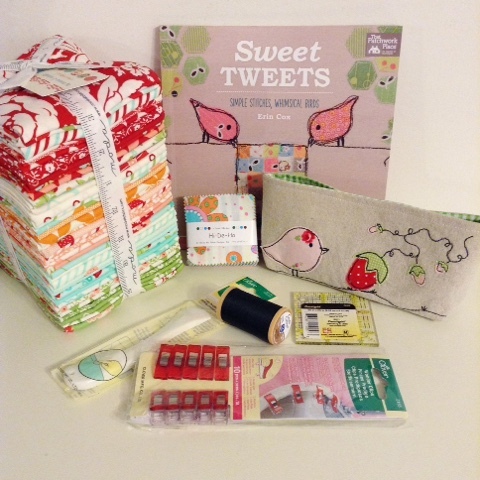 Sweet Tweets Blog Hop Big Giveaway! Good morning! 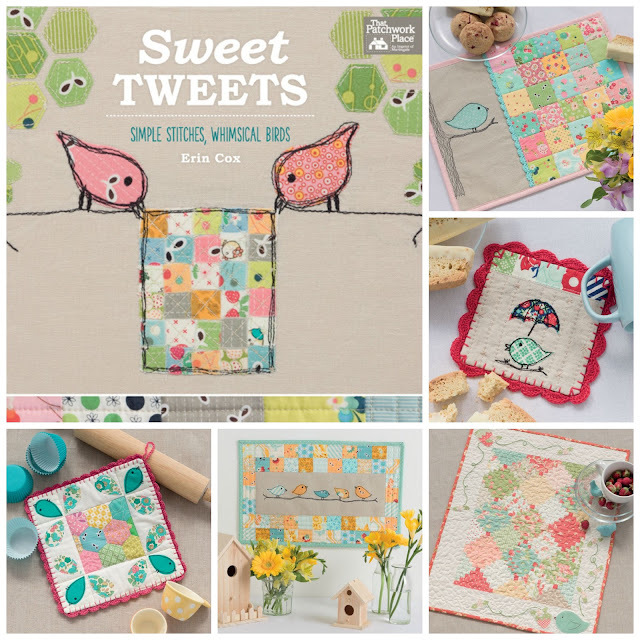 Today is the last day of the Sweet Tweets Blog Hop. I hope you enjoyed all of the stops on the hop. I loved seeing all of the different takes on the projects and ideas in my book by these talented ladies. I want to thank each of them for taking the time to play along with me! Thank you, thank you, thank you sweet friends! Tuesday, Sept.8 - Erin (intro post) Why Not Sew? I wanted to end the blog hop with a really fun giveaway! I picked up a few of my favorite things, to help you in making a project from my book, as well as some other fun things. To enter comment on this post and I will pick a winner next week. Thanks to you all for being so kind in your comments and encouragements about the book! Good Morning! 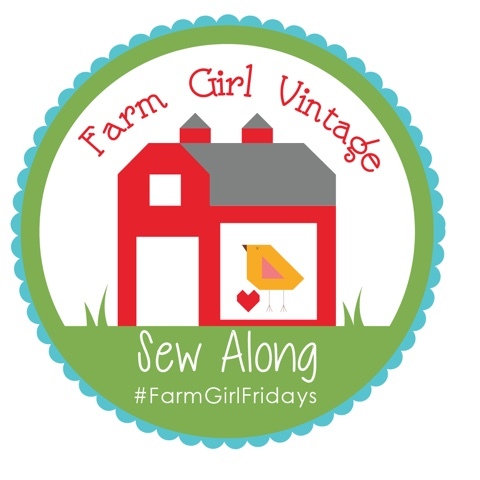 I'm so happy today is my day on the Farm Girl Vintage Sew Along with Lori Holt and Fat Quarter Shop. It's week 22 and we are almost finished sewing the 45 blocks for the sew along. 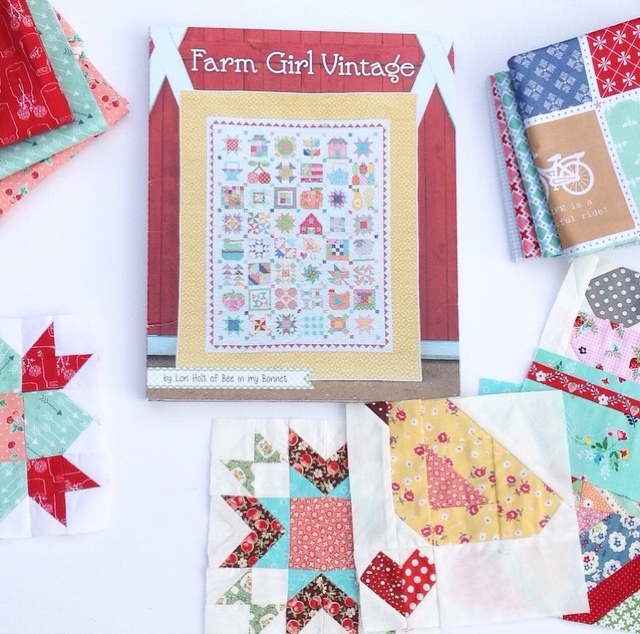 It has been such fun seeing all of the blocks people are making from Lori's book Farm Girl Vintage. My block is the Welcome Block. 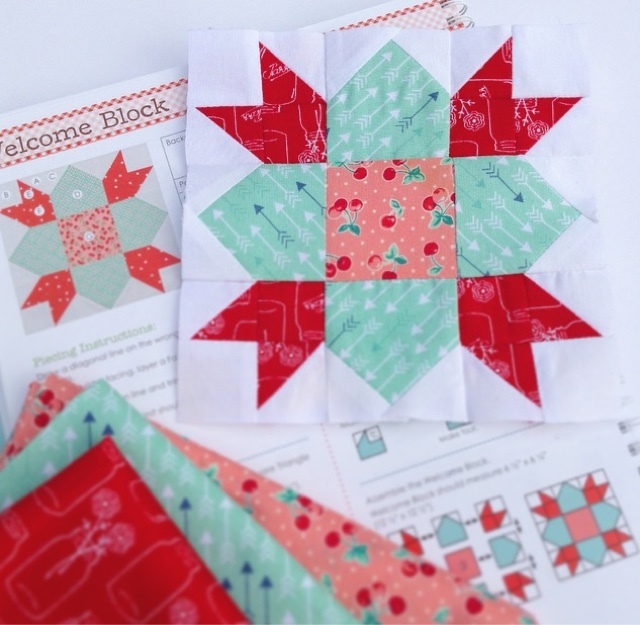 Lori named the block Welcome because it's also used in her Farmhouse Lane quilt from the book and the block looks like colorful welcoming flowers. 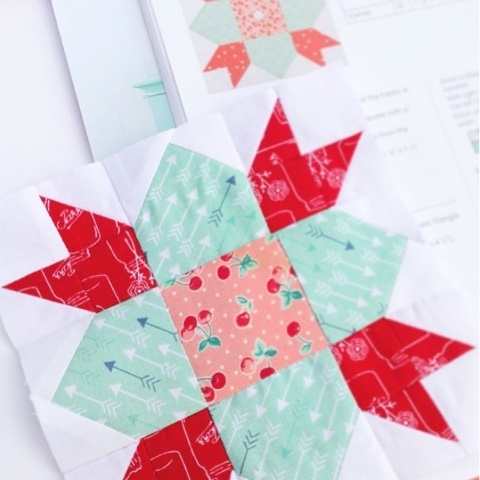 I love the colors Lori used for the block in her book. I wanted to keep it as close to those as possible when I made mine. The red and mint prints are from Lori's Modern Minis line and the center coral print is from Lecien. There are instructions for both 6" or 12" blocks. I chose to make the 6" blocks. They are just too cute to resist! I am not all caught up on my blocks yet and it's not too late to sew along at any time. I love Lori's style and I have learned so much from her you tube videos and books. If you haven't already checked out her videos with Fat Quarter Shop on You Tube I highly recommend them. 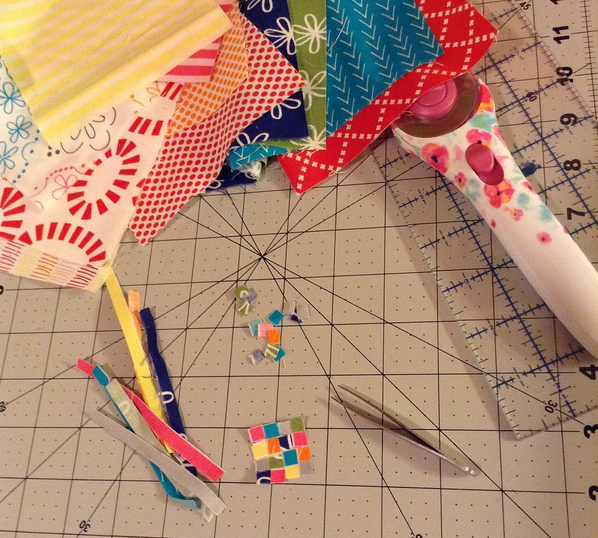 I love her system for saving and storing scraps and her quilty back pockets. HERE is the schedule for the sew along where you can see all of the blocks that have been made so far. 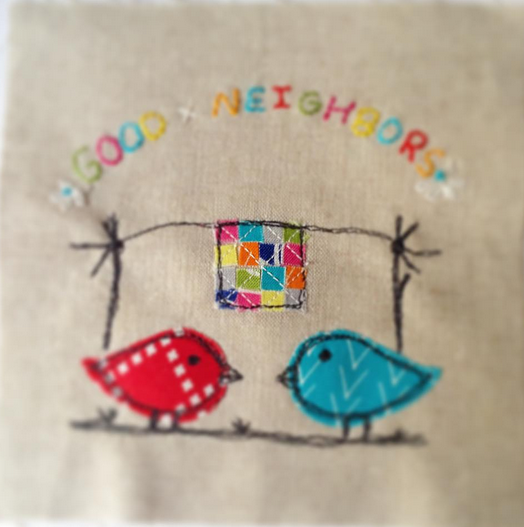 Good Neighbors Pincushion Party and a Giveaway!!! Hello! 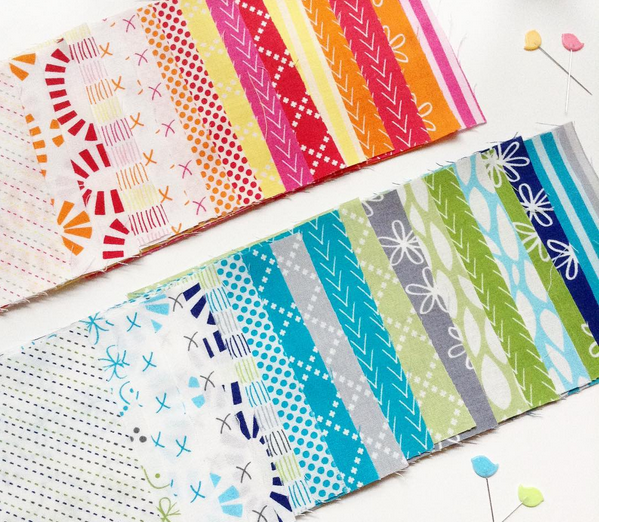 I am so thrilled to be a part of the Good Neighbors Pincushion Party celebrating the new fabric Good Neighbors by Amanda Jean Nyberg a.k.a. Crazy Mom Quilts! Amanda Jean is one of my greatest inspirations in our quilting community and I know she is for many of you too. When I heard that she was releasing a fabric line with Connecting Threads I was so happy and excited to see it! The fabric is perfect! The colors are vibrant. The low volume prints are spot on! Those little x's... love them. Playing with these fabrics was pure joy. For my pincushion I made a pair of birdies. Are you surprised? :) I picture these little birds as "Good Neighbors". Ya know, just hanging quilts out on the line together, chirpin' away. Isn't Good Neighbors a great name for the fabric? I think so. That is why I embroidered it on the pincushion. For the little quilt on the line I cut .25" strips and then sub-cut those into .25" squares to make a 1" quilt with 16 little squares. I fused those onto fusible web, ironed it to the linen and quilted it. I love this fabric and love how affordable it is too! I think a bundle of this would be a great starter bundle for a new quilter. It has everything you need in fabric right there. Of course, it's great for any quilter. For me, I'll be using it in just about everything! If you would like a chance to win a charm pack of all of these yummy prints just leave a comment below and I'll pick a winner next week. Don't forget to check out the other pincushions for the party! Here is the schedule below with a chance to win a charm pack at each stop! Good Morning! Today I am so excited to kick off the start of the Sweet Tweets Blog Hop for my book! 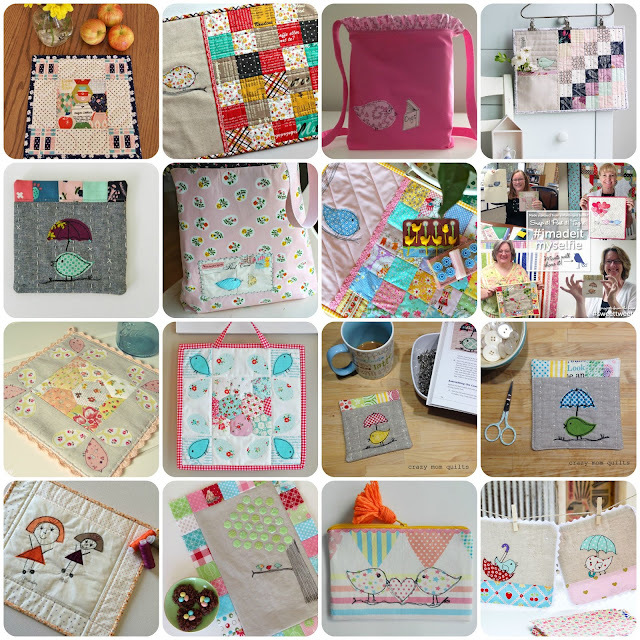 I've asked some of my friends if they would like to blog hop with me and they very kindly said yes. Thank you so much, ladies!!! You can stop by their blogs (schedule below) to see what they have to say about my book and for a chance to win an e-copy at each stop on the hop. 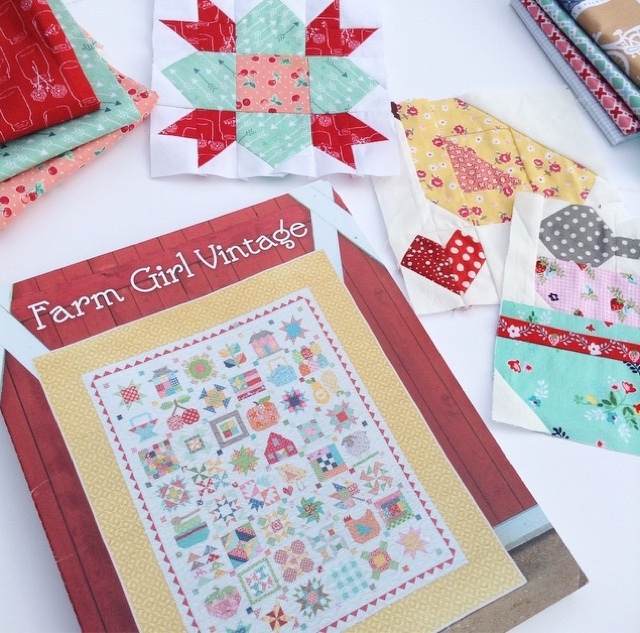 I will also be having a giveaway at the end of the blog hop that includes a hard copy of my book, some of my favorite notions, a kit to make a project from my book, a sweet handmade item and a big bundle of something very "darling" (hint, hint)! I want to thank those of you who have sent me emails and left comments about my book. They mean so much to me. I have loved seeing the things that you are making from it. If you are on Instagram you can use the hashtags #sweettweetsbook and #sweettweets to share if you would like!